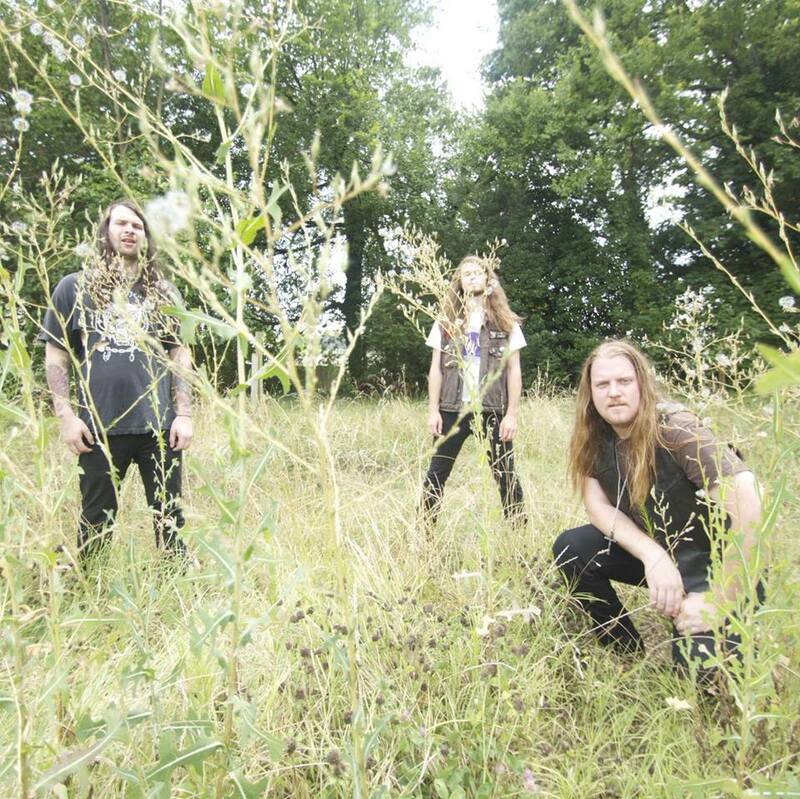 Tonight in their hometown of Richmond, Virginia, booze-doom trio Sinister Haze begin a month-long US tour that will take them coast to coast as they head west for a slot on May 16 at the Psycho California festival before looping back eastward. Today also marks the release of their debut EP, Betrayed by Time, pressed in a 180g LP edition of 300 copies by Heavy Slab Records, and “heavy slab” is about as apt a description as anything I can come up with for the four-song release. More than their three-song 2013 Demo (review here), the EP versions take elements from doom and mid-paced heavy rock groove and set a drunken undertone to the whole affair. Though Richmond is a hotbed for doom, grind, stoner rock and Southern heavy, I wouldn’t necessarily align Sinister Haze to any of them (especially grind), but over the course of “Betrayed by Time” (previously streamed here), “Changin’ Ways,” “Motorhaze” and “Black Shapeless Demon,” seem to tell the tale instrumentally of a night’s party taken perhaps a bit too far and the ensuing weight that can press on the head like so much concrete. Legend has it, it was such a creature that inspired Geezer Butler to pen “Black Sabbath,” but for Sinister Haze, “Black Shapeless Demon” is more introspective, begin with a sort of wistful, quiet guitar progression joined soon by the bass and drums that unfolds over the first three minutes or so before vocals start the first verse and the build ensues. 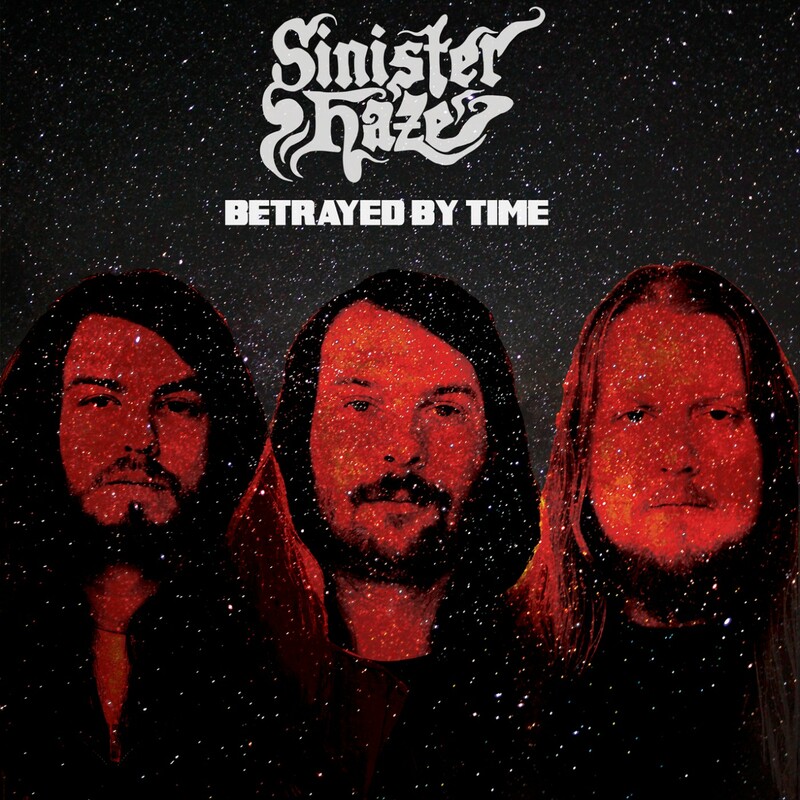 Much to Sinister Haze‘s credit, while “Black Shapeless Demon” comes to a head, it’s not overblown or cliché in how it does so, and the slow-oozing distortion that takes hold feels drawn in parts from the emotional heft of Pallbearer and the fuckall of Electric Wizard, but is indebted ultimately to neither. Marcey and Marsh work exceedingly well together on vocals — the demo was fronted by Fire Faithful‘s Brandon Malone — and the quiet finish of “Black Shapeless Demon” is all the more effective for the spirited, regret-fueled performance given atop the track’s rumbling payoff. That must’ve been some night. 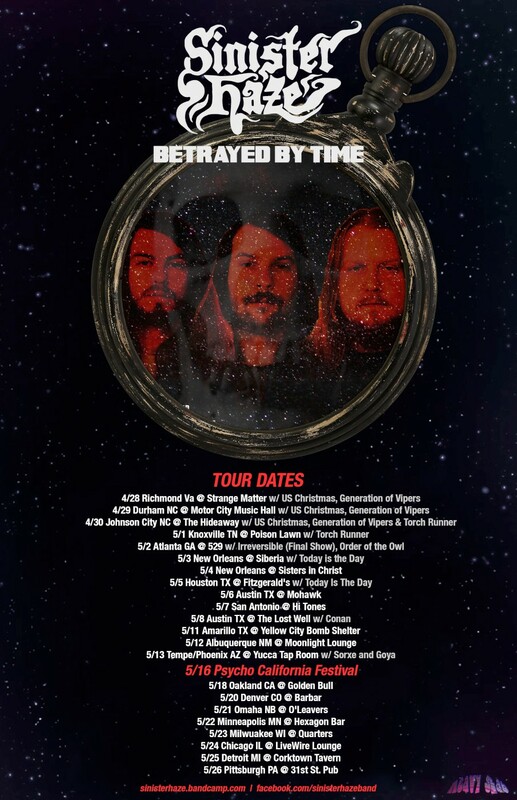 In honor of the Betrayed by Time EP’s release, you can stream it in full courtesy of the band and Heavy Slab Records. Please find it on the player below, followed by Sinister Haze‘s tour dates, which once again, start tonight. This entry was posted	on Tuesday, April 28th, 2015 at 1:17 pm	and is filed under audiObelisk. You can follow any responses to this entry through the RSS 2.0 feed. You can leave a response, or trackback from your own site.